I am back home from New York City and had great time with friends, with my wife Jean and daughter Lucy, and it was a special pleasure to visit a few special places. First, and foremost, I enjoyed my visit to Teachers College. Even though the Macy Manual Training Hall is now covered up on three sides, and thus obscured from its once central mission, there is a Chinese saying that if you want to know how something will turn out, look at its origins. For in the first notions of a thing are expressed its deepest meaning. To me that means that the Macy, now buried at the heart of Teachers College will serve again in some of its oldest ways. Does that mean that it may once again look at manual training as a means through which to address the character and intelligence of our nation's children? Perhaps. We have this idea that when a man makes something, it is the thing that is made, when in reality, it is the maker that gains most in substance and meaning. In the photo above are the stone tools of Henry Boll, preserved in a display case at Grant's Tomb. I am pleased that the National Parks Service offers recognition to one of the craftsman who built the monument. It is a tragedy, however, that our nation's elite, those who make the big bucks, are often so out of touch that they fail to perceive how this process works. Put someone to work learning skill of hand, eye, heart and mind, and you have taken part in transformation of individual and culture, and to feel one's potency in transformation is a far greater personal experience than that of having money in the bank. So how do we begin a new course to make certain that our best and brightest are equipped in heart and mind for a restoration of values and culture? I think of this process as affirmative action for the hands. 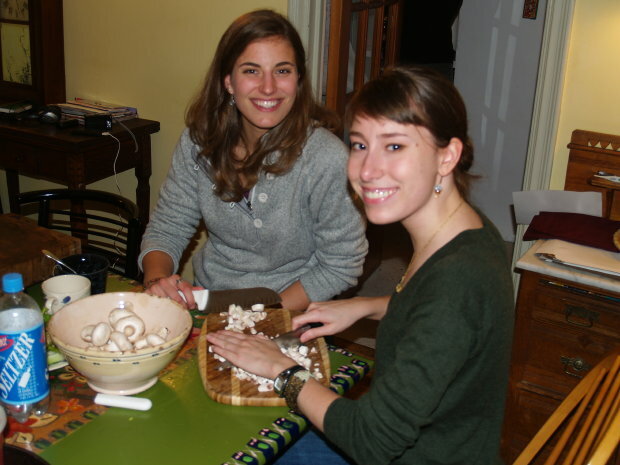 Give all young women and men the challenge of serving others through creative hand work. Make it a part of each student's education so they will understand their own potential and the potential that the hands offer their learning. Thus restore the dignity of labor, and you will witness transformation. That was one of Felix Adler's principles in the formation of the Workingman's School, now Ethical Culture Schools in New York City as in the photo below, 33 Central Park West. There, you will find the original noble impulse buried behind a pretentious facade and woodworking only taking place grades 1-4. My laptop died and I have an appointment this afternoon at the genius desk at Apple computer at 86th and Broadway. Perhaps we have begun to too narrowly define the term genius, for surely as I look at the hand carved stonework that surrounds me, the genius of days past is clearly overlooked. You don't really need to go as far south as 86th street to find it. I went yesterday for another visit to Grant's tomb. In case anyone wonders, U.S. Grant is still buried there, just as before. Also as before, in a showcase along one wall, you can find the stone carving tools donated by the family of Henry Boll, one of the masons who built the wonderful structure. He was only one of thousands whose hands-on genius with stone built the city of New York. I have photos I will share later when my own laptop is restored to genius status, or when I get home and have the use of my desktop computer. 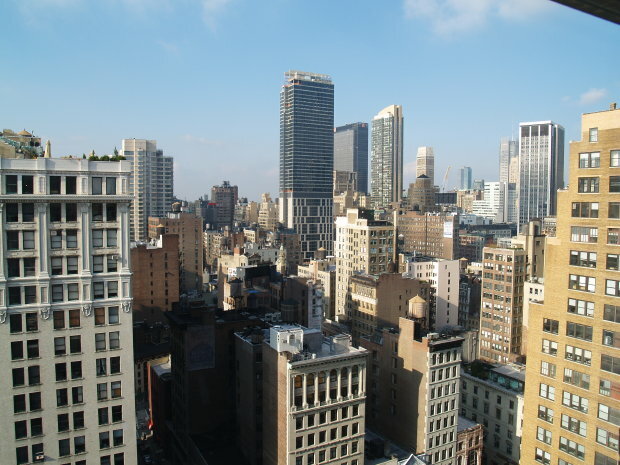 What people miss, when looking at New York, is not the quality of the work that led to the creation of this fine city. We overlook what we overlook everywhere even in our own lives. When we create something of beauty that serves others, we ourselves are shaped in finer character, intelligence and wisdom. The creative act involves a hardware side, as well as a software... in that our potential and creative capacity is increased by each thing we make. Anaxagoras was the first pre-Socratic Greek philosopher to identify nous, or mind as a separate concept from the broadly woven fabric of daily human life. He also stated that the hands are the source of all human wisdom. Today I'll be tourist in New York. I know that what I'll see are the same things Anaxagoras would have noticed... hands and mind. Certainly the mind of humanity is expanded in ways that a pre-Socratic philosopher would find dizzying. But the hands will be the same... As I walked to Teachers College on Wednesday, I saw what I'll see and what he saw. Parents holding the hands of their children. Merchants and customers exchanging money for goods. There is one thing I likely won't see that he saw, a thing to which he would have hardly paid nous... There will be few craftsmen engaged in hands-on labors. We have largely forgotten and ignored that one thing, and with it one thing more... the wisdom that arises from craftsmanship. Caring and dignity are expressed through the hands-on self-forging of human spirit. For it is when the hands and mind are united that the spirit is formed. Birds are defined by having wings. We are blessed with hands. And so to New York, I offer greetings from Anaxagoras. As long as there are a few craftsmen still at work, fixing and attempting to maintain the works of the earlier craftsmen who built this fine city, there is mind in the workings of the world and there is great hope. When we return to the age old understanding of the role that hands play in the development of intellect and character, we will have our hands on the power of renewal and restoration. Some things are hard to explain, so I won't bother. 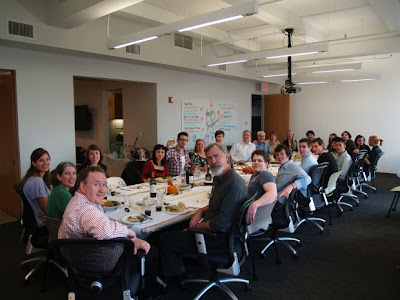 We had our rather traditional thanksgiving feast in a rather unconventional location, the EastWest Institute in Manhattan with a number of young people from various nations, some of whom had never had a traditional Thanksgiving before. For Arkansans to have a view like what you find in the photo above, is unconven- tional. What you see in the photo at left is not. 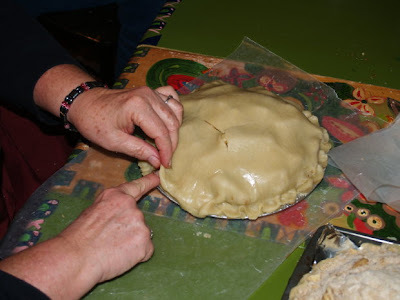 Families throughout the US have spent the last two days preparing feasts like this... Clear expressions of wisdom of the hands. Have a Wonderful Thanksgiving! Or why some cooks get up at 5:30. 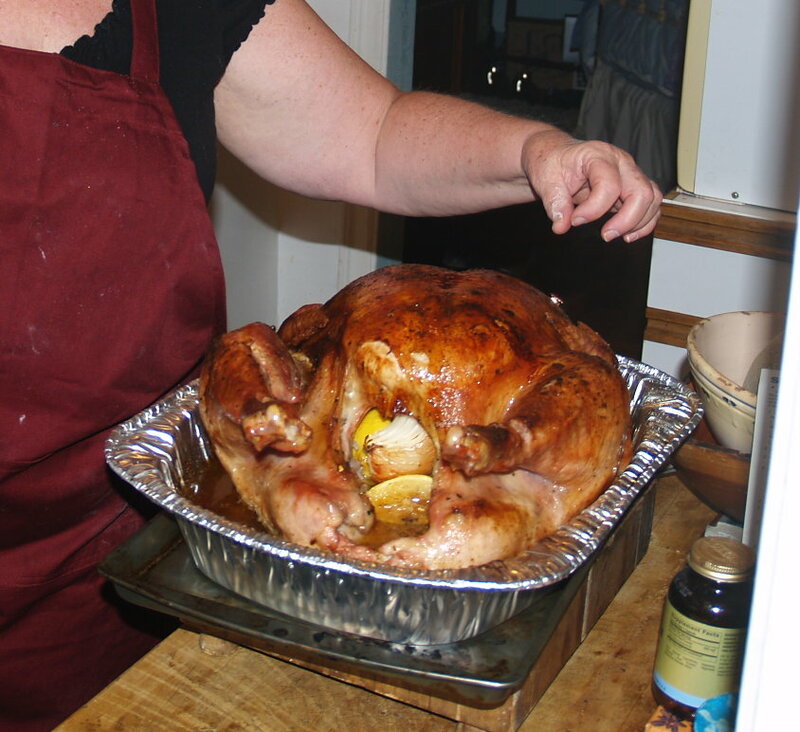 When you are planning your thanksgiving feast, you will need to practice eating for days ahead of time. Tonight's dinner, pasta, bread and salad was for 12. We expect about 35 tomorrow at the East West Institute in NYC where we will be serving Thanksgiving dinner. So, as in many American households, we have been busy shopping (Westside Market) and chopping and cooking. 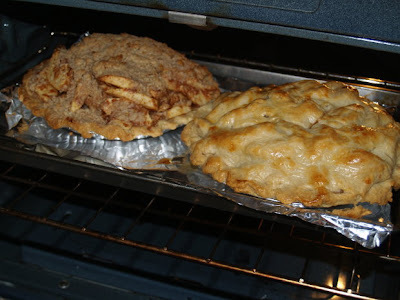 Pies courtesy, master chef and kitchen miracle, Jane Tucker. 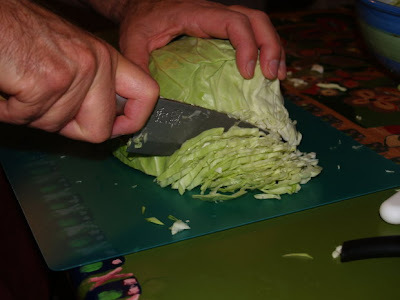 The fine chopping of cabbage is under the guiding hand and sharp knife of Rick McCormick. I had my visit this morning with Kristine Roome, assistant Dean in the Provost's Office at Teachers College and received a tour of the Macy Manual Training building. I don't think many arrive at TC asking specifically to see the Macy. It will be noticed that the pupil starts with a distinct idea of something which he needs for his own use, and is stimulated in his work by the desire to supply this need. He learns the nature of the materials which he uses, and how to use tools, so that he is able to go on and make for himself other apparatus as he may desire. The benefits of this training are noticeable in all the lines of school work, the use of the hands, and consequently greater interst in their work. It induces accuracy and skill." You can see bits and pieces of my tour in the photos above and below... The top photo is at the corner of 120th and Broadway, and was my first indication that I had nearly arrived at the first American University to offer advanced degrees in manual arts education. The machine shop is gone, and when Apple Computers offered a grant to TC in the early days of the computer revolution, the Macy Building became the place for the installation of the system, it being the only building on campus with a sufficiently robust electrical supply, as the industrial tools had been removed long before. The first prospectus for the college stated, "...for the present at least, the instruction given will be almost wholly confined to those hitherto neglected factors in education which may be included under the name of industrial training," and so you caan see that the training of the hands was truly at its heart. 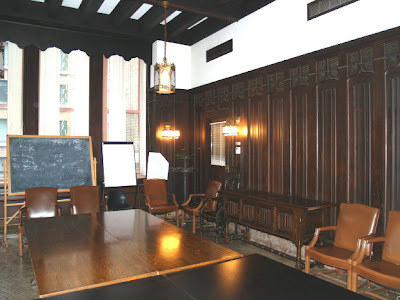 At this point, the first building on campus, the Macy Manual Training building is interconnected to several other halls, and the original building can only be viewed from 121st Street, but the interior displays the craftsmanship of earlier times. 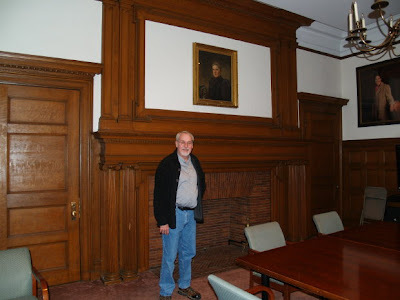 The photo below is of the room in an adjacent hall honoring Grace Dodge, founder of the Industrial Arts Association and first woman member of the New York School Board. Her organizational skills and vision led from the forming of the Industrial Education Association to the founding of Teachers College. 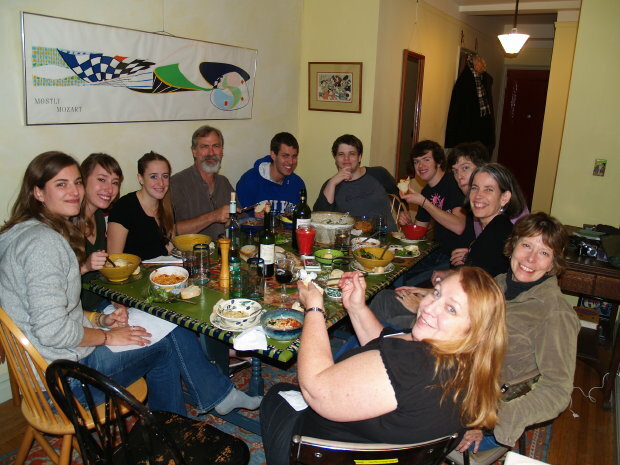 In these times, one would consider the "art" of domestic service as being too demeaning to teach in schools, but in this room, students learned the art of serving fine meals. A similar classroom experience was offered at Nääs, in Sweden in association with educational sloyd. I am sorry to state that I concluded my tour without ever finding a woodshop, not even one like the one I visited at the University of Helsinki where kindergarten teachers were being taught to teach woodworking. I did learn that TC is making an effort to reconnect the hands with learning by having dinner conversations among staff in which the arts, math, literature, phys ed and arts faculties are brought together to begin consideration of integration or "correlation." Perhaps that will be like the first conversations between Grace Dodge, Frederick Barnard and Seth Low in the forming of Teachers College at Columbia University. Grace Dodge, Frederick Barnard and Seth Low are well remembered in the neighborhood. 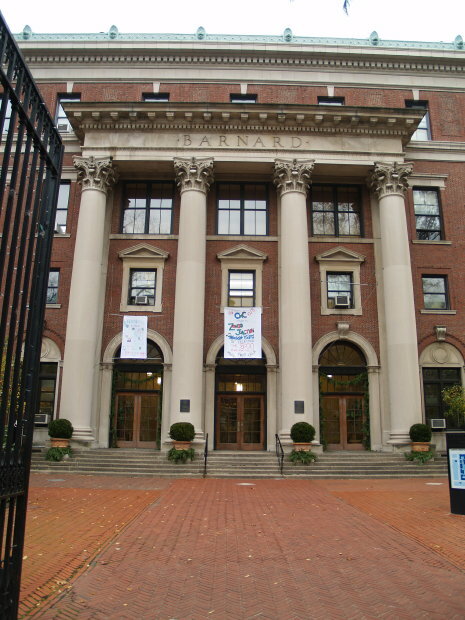 In the following photos you will see the entrance to Barnard, Dodge Hall on the CC campus and the Low Library. Is there meaning in history? Does it sometimes repeat itself? Can our remembrances shape the future for our children and their educations? One can hope. Perhaps Columbia University, and Teachers College, having once served in revolution, may arise to the challenge of finishing what they were part of starting over a hundred years ago. Let's keep our fingers crossed. We are here in NYC on our 2009 Thanksgiving adventure, and we went last night to buy a 26 pound turkey. Thankfully some of us are vegetarian, as with over 30 guests, the turkey may be stretched to the bone. And that is a good thing. I went out this morning to Absolute Bagels to get our fresh morning supply. And of course each bagel is hand shaped, hand made. The city is a celebration of hands and feet. People walking to whatever. Mothers and fathers holding hands with their kids leading them off to school. Pet owners holding leashes. At the market, fast skilled hands arrange fruit. On the side streets, repairmen carry tools into apartment buildings, and while you cannot witness the work, or observe the consequences of the work, it is vital and necessary to the city. Back here at the apartment, I cut fresh strawberries while my Thanksgiving co-conspirators warm bagels on the grill, set the table and plan for the day. 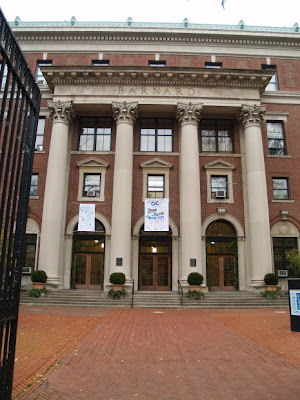 I will be headed off to a meeting at Teachers College where we will talk about the hands, the role of Teachers College in the start of the manual training movement. The point of course, is that while we are largely unconscious of the ways through which our hands give shape and meaning to our lives, they are the vibrant irrepressible force in learning. By making conscious effort to engage our children's hands in schools, we have the potential of enlisting our greatest resource in shaping our future. Chop, cook, serve, make, find conscious delight in the workings of the human hand. Glen Adamson, head of graduate studies at the Victoria and Albert Museum in London, has an essay in this month's American Craft Magazine, about "Timbersports," a broadcast spectacle in which burly contestants compete in various forms of lumberjack competition. It is a blend of skill, balance and strength, and Adamson draws parallels between it and what we think of as "finer crafts." Adamson points out that various languages allow for the distinction. In German they have handwerk which is the category in which timbersports might fit, and they have kunsthandwerk, meaning "artistic craft." In Japanese, the terms are dentô kôgei traditional craft and kôgei bijutsu or "art craft. And yet an axe by any other name would cut as sweet. Adamson, concludes that the same human impulse leads one to enjoy timbersports, either as observer or participants as that which drives any of us in our aspirations to create. He describes it as authentic. That the authenticity of it has tremendous appeal. And in this day and age in which so much is virtual and so little has the trapping of sweaty, axe flailing, chips flying reality, all I can say it we need it and it beats what we see on TV. Oh! waiting a minute. Adamson was describing what he DID see on German TV. So never mind. But do go out and chop some wood for your own sake. Some of my readers may remember last year's Wisdom of the Hands Thanksgiving adventure. You can read all about it in last year's November blog posts. This year we are at it again, in a friend's apartment at 103rd and Broadway, NYC, just ten blocks from my daughter Lucy's dorm at Columbia U. More will be coming in the next few days as we cook up a storm. And then eat. My only skills are to chop and take photos and follow directions. 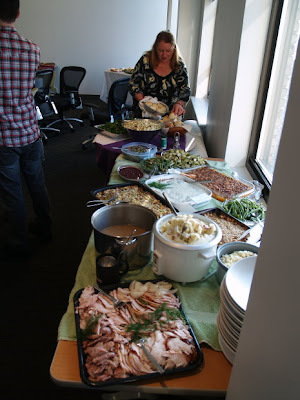 Returning to the WOH Thanksgiving kitchen will Be Jane Tucker and part of her last year's cast, plus a few more. This year, we all arrived by air, so it will be a special culinary challenge, similar to what you might see on the food channel... top chefs competing to deliver a perfect Thanksgiving dinner in New York, newly arrived, shoppping in new foodmarkets, in an untested kitchen. With Jane, anything can happen. For a preview of coming attractions, visit last year's blog posts. I want to remind my readers of my upcoming webinar with Michigan Educators on Dec. 14. You will have to reserve your webinar seat if you would like to participate. The webinar will be archived for later viewing, but if you would like to participate live, you will need to reserve your spot. What's stuff doing to kids? Australian wood shop teacher Richard Bazeley is pondering the questions, "How does the experience of the handmade as opposed to the manufactured item become integrated in the mind of the child? What value is the handmade object in the lives of our students today?" I think this was answered in part by a comment from Stephanie on November 18. It's amazing to see what kids so young are capable of doing. My son is 4 and a half and wants to help me. I'm putting together a little toolbox for him for Christmas. I want him to know that he can do anything...it may just take time and practice. Already, when looking at toy catalogs he now says "I want to make this" instead of "I want to buy this". Does seeing and engaging with hand made objects inform a child of his or her own creative potential? And is this a better thing than for a child to engage with objects that can be neither fathomed nor fixed? A friend of mine, Rima, grew up in Waldorf Schools and now travels between various Waldorf schools in the US and Canada teaching dance, and while I have not been able to find this particular quote from Rudolf Steiner, Rima says it reflects what were his beliefs: Children should only be introduced to technologies and objects that they can completely understand. And so we are left with Richard's ponders... And this would be a great time for my readers to add to an interesting discussion. Please comment below. I take pride in being able to fix things, but some things are very hard to fix, and even with Educational Sloyd and the history of manual training thrown in as reinforcements there are things I wish I could fix, but just can't. The folowing blog post was recommended by Scrapwood Bob, The Sorry State of Today's Youth, and I am quite glad that all kids aren't what the author describes. Last night we had a game night at the library in which the local library sponsored gaming group invited parents and friends for an introduction to "Beatles Rock Band." The kids were great, polite and having a great time, but it was unfortunate that most of the invited parents were no-shows. 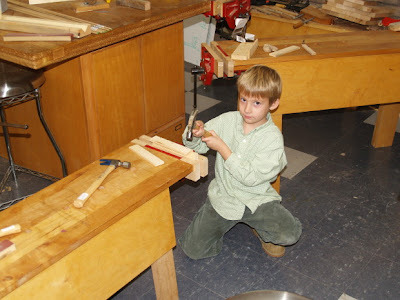 When we started the Wisdom of the Hands program in 2001, it was based on my observation that while most schools regarded woodworking as no longer relevant, in my own wood shop it was connected with everything, and thus could be used as an integrating connection between disciplines, through which everything could be made more relevant to the child. In modern times, the term educators use is "integrated" curriculum. It is like taking the two hands, eight fingers and thumbs and interlocking them in a single whole. In the early days, the term used was correlation, and it was based on a principle proposed by followers of Pestalozzi... that learning should move from the known to the unknown. We know that each distinct discipline is an artificial construct and thus the classification of groups of knowledge and interest is arbitrary, and the important thing is not how we divide classes and disciplines, but how experience becomes integrated in the mind of the child. The assumption in modern schools is that the child will leap between disciplines just as one leaps between 50 minute classes, and that some completely mysterious process unknown to modern science will make necessary connections for the integration, storage, retrieval and later use of information. And so, I ask a simple question... "How much do you remember from your own education?" And of course, we know the answer for many is "not much." Perhaps hypnosis would help, but that would put us even further to sleep. We learn when we look back in history, that names may change and the terminology may differ, but there is very little new under the sun. As I began setting my own roots in sloyd and manual training, I found my own observations entwined like 8 fingers, and thumbs enmeshed in the simple concept of correlation. It was observed by the earliest advocates of hands-on learning that exploring the physical properties of material and making the effort to create objects expressing beauty and value pulled together the full range of disciplines into a single working intellectual framework that anchored information through actual sensory experience and allowed and inspired the child to express learning through personal creativity. And so, that is what we attempt to accomplish in the Clear Spring School wood shop and what was once referred to by the term "correlation." The Workingman's School is now the Fieldston "Ethical Culture School" and one of the most prestigious independent schools in New York and the US. They still have woodworking grades 1-4 and at this point draw no direct parallel in their literature between manual arts and the moral character development issues that led Adler to found the school in the first place. The roots of manual training are being forgotten, but as long as we have hands we will be called to discover what they can hold and what they can make. And we will be inclined to share what we have learned with others. 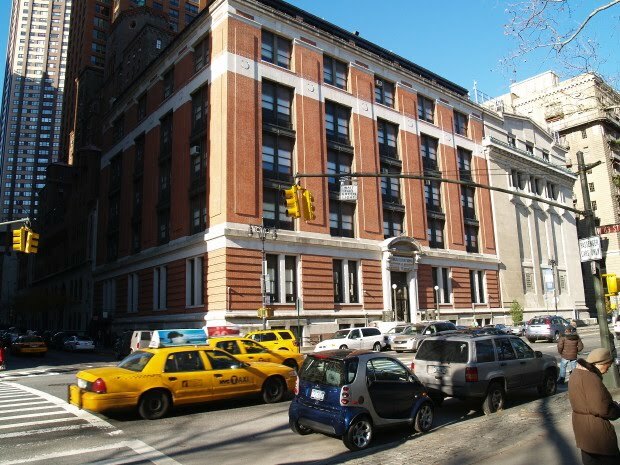 Ethical Culture School is at 33 Central Park West in the google street view below. One of biggest challenges facing the U.S. today is that we're not producing enough engineers who can envision and build real, working machines. Today's engineers have an overabundance of software knowledge, but far too few can devise products that put software to work. Somewhere along the line, we've lost touch with the real world. Kids don't build tree houses anymore, they don't fix bikes, and when they start driving, they can't service their own cars. They lack “hands on” knowledge of anything short of a computer keyboard and joystick. Sadly, there are kids who've never worn a baseball glove or held a bat in their hands, but know the ins and outs of MLB and Madden NFL on their computers. If kids no longer play with tools, fixing things and making things and learning the basics of problem solving, how will they gain competence as engineers? How can they solve real problems when most of their lives have been invested in fantasy? Reader, Julian Behrisch Elce wrote to me about a program on CBC Radio One in Canada pointing out that the basic lack of early hands-on play with basic materials is preventing aerospace engineers from having the hands-on ability to build what they have envisioned. This of course has profound economic effect. But it also impacts the human soul. Are we to be confident fixers, makers and creators, or are we to be enslaved as complaisant consumers of meaningless cheap stuff? Yesterday in New York, an after school shooting rampage by five youth gang members brought down a young honor student in crossfire. It is a story told again and again in American cities. Otto Salomon said, "the value of the carpenter's work is in the object made... the value of the student's work, making the same object is in the student." What we get when we set students to work making things of beauty and value are children of beauty and value. Fail in that, and we get what we get. Children in many schools are subject to restraint, passing from boring class to class. It is completely against their natural inclinations toward active life. Can you see the relationship between classroom restraint, and after school when all hell breaks loose? Within the process of making things is the growth of moral character and human significance. Some would blame the schools for what we have now, and blame it on moral collapse of teaching and administration. But let me tell you this: Teachers and administrators care about kids. I would instead look to the society at large. We have classes of wealth, people who grew up understanding nothing of hands-on creativity, who see objects as things to be made by others and sold at profit, not as transformative process through which community and culture are established and preserved. Life at the top secured by embrace of the bottom line. Radical conservatives propose that community and culture are what trickles down from their glorious economic success. But buddy, it just ain't so. When we empower a craftsman to make, we set in motion the transformation of community and culture. When we take educational institutions and allow them to be islands of "excellence" in the midst of poverty, through which students pass on their way to "success" while remaining untouched by the full scope of their surroundings, we have preserved a culture in which long term failure is pre-ordained. This is nothing new in this blog. I have talked about this before. It is nothing new in society, either. The following is from an 1883 report by Superintendent Samuel T. Dutton in New Haven, Connecticut. Those (students) whose surplus energies are spent in outdoor sports, or who have active duties out of school, have less need for manual training. The fact that the dignity of labor may thus be popularized, and that many boys not members of these classes will be inspired "to do something," is a strong argument in favor of the plan. It is the industrial and industrious spirit that we want in our schools, and in the community as well, so that honest labor may be not only respectable but honorable. It must be counted a misfortune that popular intelligence does not yet grasp the principles which underlie an education which begins in the kindergarten and carries the industrial and productive idea through all grades. And so, if we have become a nation of idiots, in which violence rages virtually from TV's and computer screens in children's bedrooms and in harsh reality in the streets of the cities of our nation, we have only the failure of our hands to blame. We have sought cheap goods. We have sought cheap, easy ways to teach kids. The kids know cheap when they see it and know that they are regarded as of little value, for character and value are what you discover in yourself when you are given the opportunity to create. If we want our schools to be safe again, and to be places where both the intellect and moral character are nourished, it may seem ironic that one might start with a knife. But the simple sloyd knife is an interesting reminder of much more. Its creative use was the child's introduction to depth of will and strength of character... the process through which one becomes a trustworthy, upstanding and creative member of community. The knife, sloyd and manual training deserve a second look. Design questions can be doozies. How can a husband answer a question like that safely and without getting in very deep trouble? Actually knowing something about design might help. What if we were equipped to discuss design intelligently? Much less risky on the social front, but demanding some design expertise are the questions my box making students ask me about mixing woods. Using more than one species of wood in a project is regarded as a bold statement involving some risk. Mixing species of woods for decorative effect was done in the furnishings for all the Kings Louis of France, so we know it can be an effective design technique. My students like what I've done using mixed woods in my own work but wonder, "What woods work well together and why? 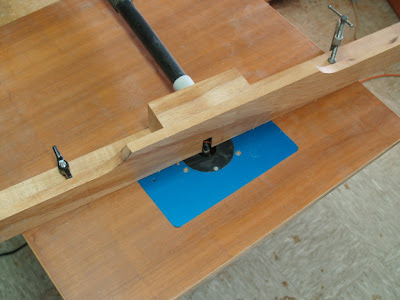 Are there combinations of wood that work and some that I should avoid?" I was asked to write an article on this subject for Woodcraft Magazine that I hope to send off today, and the question of how to successfully mix woods in a project provides insight into the "principles and elements of design," the rules taught to graphic and 3 D designers in art schools. In other words, to know how to successfully mix woods offers insight that could lead any woodworker to become a better designer of things made of wood. More to come soon. The photo above shows one of the simple forms of mixing species of wood, inlaying one contrasting wood in another. Eureka Springs is planning a new high school and tonight I made a quick presentation to the school board on the importance of the arts in whatever plans they make. I was invited to speak by a fellow artist who had gotten a few minutes on the agenda. The fact that the arts are so vital to our community, with over 200 professional artists in our city, and a host of galleries and others making their livings from the arts, the idea is a no-brainer and was well received by the school board. We all believe that if the school makes a larger commitment to the arts, the artists will make a large commitment to the school and that could be helpful in passing the necessary bond issue. View Larger Map I am looking forward to my visit there next week, will take my camera and have my own images to share with you. 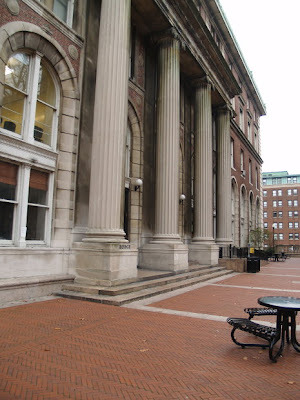 I have mentioned that Teachers College, part of Columbia University in New York City was the first college in America to offer advanced degrees in industrial arts, but what I didn't mention was that it was specifically founded to do so. Charles A. Bennett tells the story in his History of Manual and Industrial Education from 1870-1917. The time line is this: The Industrial Education Association was formed in 1884 with membership including Grace Dodge, Frederick Barnard, Seth Low, Theodore Roosevelt and others. One of its stated purposes was to promote manual training education by preparing teachers in the art. They began teaching teachers in 1886 in a building at 9 University Place formerly occupied by Union Theological Seminary and now part of NYU. 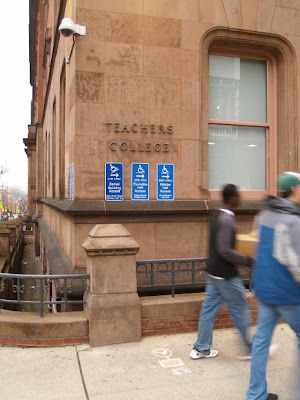 The small but powerful organization led to the foundation of Teachers College in 1887. The first prospectus of the College stated that "for the present at least the instruction given will be almost wholly confined to those hitherto neglected factors in education which may be included under the name of industrial training." At this point, Teachers College is one of the finest educational institutions in the country, and you might not associate it with something as simple and direct as whittling on a stick. There is always a great deal that can be learned from examining our roots. We are, after all, moving from point a through to point c. And while things may seem haphazard, reflection on origins can give greater strength of purpose to what we do now. Who would have guessed that such a fine institution would have been formed specifically to promote hands-on learning? Are there patterns in human affairs that lead to repetition? Is it true that that which we have nearly forgotten tends to be repeated? Do patterns come full circle? Could it be time for Teachers College to come back to its roots? Let's hope. Today the first grade students finished their wagons as shown below. The kids have such enthusiasm for making things. 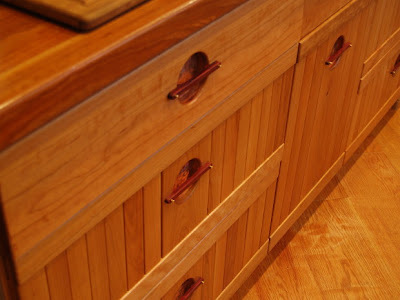 They look around the woodshop at projects from years past, and ask, "when do I get to make that? "And they tell me, "I want to do it myself!" 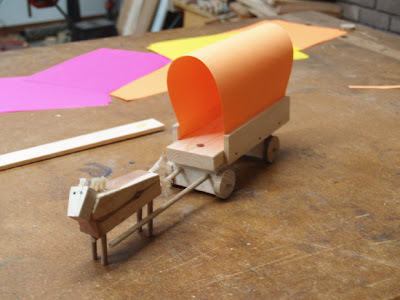 Today in the Clear Spring School wood shop, the first second and third grade students will continue work on their wagons for study of pioneers and westward expansion. In the meantime, I'm getting ready to spend Thanksgiving week with my daughter in New York and have arranged to meet with an associate dean at Teachers College concerning their role in the creation of the manual arts movement. So, TC and Columbia University are on my mind. Lucy is now almost half way through her 3rd year and has classes on Wednesday, so I have arranged my tour of TC for that morning, and I hope to share photos of Macy Hall, one of the American homes of the manual arts movement. Teachers College interest in manual training emerged from the "Kitchen Garden" and kindergarten movements both of which promoted the understanding of the connection between hand and brain, and crafts and the development of character. 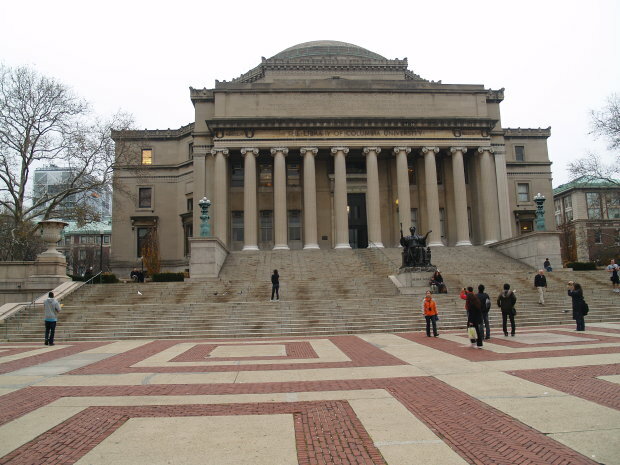 The movement included such notables as Seth Low, Columbia University President for whom their famous Low Library was named, and Frederick A. P. Barnard founder of the prestigious women's college across the street from today's Columbia University. There is an industrial training which is neither technical nor professional which is calculated to make better men and better citizens of the pupils no matter what calling they may afterward follow; which affects directly, and in a most salutary manner, the mind and character of the pupil, and which will be of constant service to him through all his life, whether he be wage worker or trader, teacher or clergyman. The training of the eye and of the hand are important and essential elements in all good education. These elements the State is bound to furnish. And so, I propose a renewal of American education built on old, yet solid principles. By placing our human hands at the center of learning, our hearts, too, will be present. 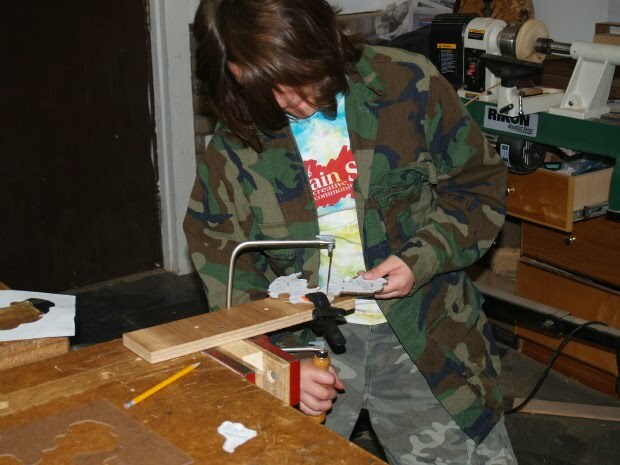 The following was posted today by Senior Editor Tom McKenna to the Fine Woodworking Website: For These Kids, Making Toys is an Entryway to Woodworking. Today the 7th 8th and 9th grade Clear Spring School students started work on our annual holiday public service project, making toys for distribution to children through our local food bank. We started by doing design work on paper, and by making and sanding wheels. Some students are more interested in design than others, so I offer the options of designing with scissors or by tracing around found objects, hoping to better engage those less comfortable with their drawing skills. Next week we will start making toy cars and trucks, and I hope to bring all the students up to a higher level of craftsmanship. 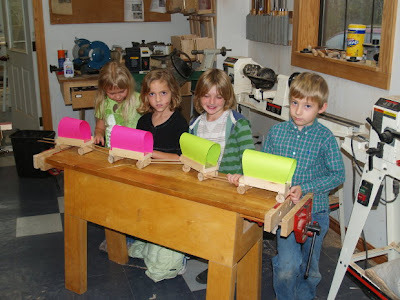 During the last weeks before the holiday break, all the students at Clear Spring School will be active in making toys. Fourth, fifth and sixth grade students at Clear Spring School worked on Pangaea puzzles today as part of their study of earth science and continental drift. The idea is that students will become hands-on familiar with continent shapes and their locations while studying the forces through which continents were created. And it was fun. 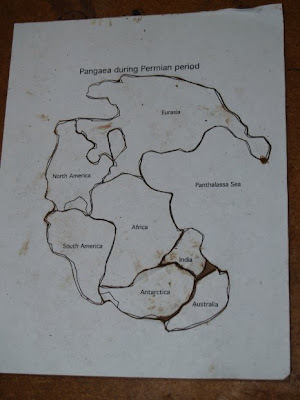 To begin the project, I downloaded a map of Pangaea from the Permian period, and used a graphics program to redraw and simplify the map so it could be cut apart into various continents using a coping saw as shown in the photo below. To prepare for the kid's work and to keep the surrounding frame intact, I used the scroll saw to liberate Pangaea from the surrounding Panthalassa Sea in preparation for the kid's work. In the photo below, you can see my almost finished launcher for our high school physics competition. We worked on them today and the kids think mine is cool, but ineffective. We'll see. 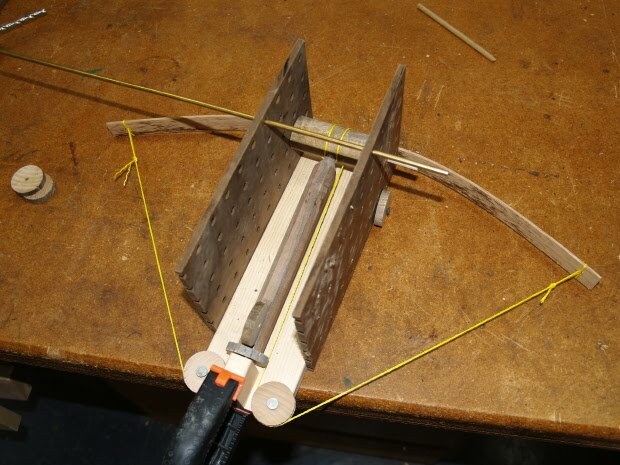 My combination compound crossbow catapult is designed to give the ammo a roll effect that may extend its range. I also plan to add a second bow, doubling its force. 3 1/2 minutes for the arts. I have been asked as a member of the Eureka Springs Arts Council to address a meeting on behalf of Opera in the Ozarks at the Crescent Hotel this afternoon from 2-4 PM. The idea is that I am to speak for 5 minutes about the arts, and if you know me, I will have to talk about the hands for at least a minute and a half to get the audience warmed up. They will literally have to grasp where I'm coming from. So that leaves 3 1/2 minutes. Others will be speaking about the arts as well. First, you may not be able to remember Bill Cosby's third comedy album, "Why is there air?" And the same question seems to apply to the arts. Without air, there would be no life. Without arts there would be no human culture. You cannot engage successfully in learning anything of depth and cultural merit without engaging the arts. All the fundamental human values are expressions of the arts... which explains a great deal about our current corporate economy. It also explains a great deal about the 30% dropout rate in today's schools, and it explains the epidemic underachievement of boys. You leave the hands and the arts out of education and you literally fail to engage the hearts of learners. Some may remember Jacob Bronowski who did a powerful PBS documentary series, The Ascent of Man. Jacob Bronowski suggested that the hands and their motions are the foundation of human conceptual development. He said the "hand is the cutting edge of the mind." And so, turn up at the Crescent Hotel here in Eureka Springs from 2-4 and you will hear a bit more about the arts. 3 1/2 minutes from me. In the meantime, I have been reading the Woodwork annual edition. I have to commend the new publisher for remaining 100 percent true to the Woodwork mission and quality. In Woodwork magazine you will find exactly what you may have learned to expect. Thoughtful and thought provoking writing and work exploring the fine tuned and precisely sharpened edge of human creativity. Saturdays are often a mixture of activities. I spent some time mulching leaves, some time cleaning the shop, some time taking photos for articles for American Woodworker, and some time installing pulls on the drawer fronts I made and have been installing over the last week. You can see what I've been up to in the three photos... On the subject of education, I listened to part of an interview with educator Parker Palmer and was sorry to arrive at my destination far too soon. Dr. Palmer's most popular book, The Courage to Teach, should be in every teacher's personal library. Philosopher Karl Popper (1903-1994) said that "all life is problem solving" and proposed that the basis of science is essentially biological in that the same problem solving methodology inherent in the most primitive one celled animal is the same trial and error methodology of science. He likened the exploratory movement of a one-celled animal toward a food source as being the foundation of all human exploration and discovery. Hypothesis, testing of hypothesis, resolution. Of course there are some differences between the amoeba, and man in that man has the capacity to remember, organize information drawn from his environment and share what he has learned with others that they may also test and affirm the same hypotheses. The same testing method is inherent in the arts, and the arts can be considered the hands-on laboratory or gymnasium for the development of the scientific method. You may remember from my earlier post, Popper's leap from the craftsman's bench to his theory of classical music. In schools, we have pushed the arts aside, casting our children far aside from the doorway of discovery. The patterns of music are the same patterns to be found in biology. The patterns of attention guiding the hand passing a knife through wood are the same patterns of attention and method that lead to scientific discovery and guide us on a journey toward truth. If all life is problem solving, we must ask about the problems we are asking our children to solve in school. Are they real? Are they significant? Are they relevant to the child? Do they build within the child an attitude of resilience and strength of method? Do they lead our children steadily closer toward truth? Are they problems through which the noble character of the child might arise? I am concerned that in some American classrooms the challenge some children must solve is that of staying awake until the bell. While one celled animals may be propelled toward truth through cellular distortion, our own methodology requires that we reach out with our hands. It will be by placing the hands and the arts at the center of education that schools will be made effective. When educators first separated the idea of the arts from science, social studies, history, math, language, literature, humanities, philosophy, and every other conceivable discipline, the arts then became the backwater of education, pushed into a corner, and isolated from what were thought to be the more important disciplines. Now some say, "arts for art's sake" for surely there are some very important human, cultural qualities that arise when pen is put to paper for reasons other than numbers and letters. And surely letters and numbers themselves are made more potent, more meaningful when carefully drawn by attentive hand. But what if the arts were subservient to the other areas of human cultural and intellectual expression? Would the arts be diminished by reinforcing a child's education in physics, mathematics, history or literature? Or are the arts large enough to be drawn upon without limit? You might as well ask, "why is there air?" For air is what the arts are to every form of human cultural expression. There is a Chinese saying that if you would lead you must first serve. And so, serve the arts must. They will crawl from the backwaters of education to reinvigorate the studies in all fields by first asserting themselves by serving and becoming essential. I had my first meeting today with a former dean at the U of A to explore my possible return to school. It was an honest and helpful meeting. And one of the questions was "are there staff here that would provide a match to my needs?" I want to thank all those who helped me think this through at my earliest considerations. You gave me a lot to think about and I am not ready to sign up, but rather have still more people to talk to at the U of A.
I was sorry to learn today that A+ schools, a program transplanted from North Carolina for implementation in Arkansas to integrate arts throughout the elementary school curriculum was eliminated in the state of Arkansas. It was a hard sell and the program directors realized that the only way school administrators would support the arts was if they were provided financial inducements to do so. So as some of my blog readers have noted, it will take a fundamental shift in how we think of the arts to force schools to make a change. And so, I remain on the fence. To school or not to school? That is the question. And perhaps the greatest tool in my possession is the poetry of what you so carefully place on keyboards, or store safely in pockets, or wave excitedly when you engage in conversation. The poetry of your own hands at work, shaping the future, and providing hands-on learning opportunities for those you love, is a far greater force than the letters earned that adorn the tail end of a person's name. And so, lacking credentials, I resort to the poetry of human language and form. Make, plant, cook, create, shape wood, make stitches, harvest, share with your children. The world with the greatest meaning is one made not by financial agents, but by poets, musicians, artists, and woodworkers. Speaking of which, I received my annual copy of Woodwork magazine in the mail today and the accompanying CD contains my article on Making Desk Cubbies and Secret Boxes. You can find copies at Barnes and Noble, Borders and other stores where magazines are sold. Every teacher knows that good days and bad days come in balance, and some days are better than others. I could lie to you and tell you that every day in the wood shop is close to heaven, but I won't lie. Today was a challenge for me. The first grade class began making their toy wagons for westward expansion studies and that went well as you can see in the photo above. The 2nd and 3rd grade students in the afternoon class were much more of a challenge. They were to start making their toy horses and 3 of the students rebelled at the idea. Perhaps because the first grade students had finished theirs first? Who knows. They wanted to have a free day to just do things of their own creation. After this, due to the amount of prep work I invest in projects, I'll send them back to school on the bus. It is too complicated and frustrating trying to contend with occasional disinterest, and like every teacher in the world, I would prefer to give my attention to those most interested in the work. On another note, I found that one of the older students had used a gouge to carve across the top of one of my workbenches either yesterday or the day before. I am hoping one will have courage to confess. I believe it was just an impulsive, thoughtless act rather than one intended as deliberate destruction, but to have such things happen in the wood shop where I supply tools and materials for children's use is extremely wrong and I was angry. Tomorrow I will meet with the former dean of the University of Arkansas graduate education to discuss my possible return to school. Don't worry for me yet. I am just gathering information. to what may we aspire? The current head of AIG, the insurance giant that was bailed out by the US government is complaining that the pay restrictions in place courtesy of the Obama administration are completely unbearable. 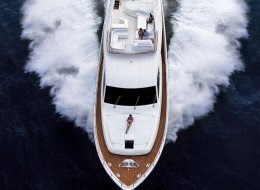 Robert Benmosche spent his first month on the job working over the internet from his luxury digs in the Mediterranean and cruising on his luxury yacht. It was particularly grating for Benmosche that AIG wasn't able to make a corporate jet available for his personal use. Such are the delusions of entitlement. I want to use this interesting bit of information to make a point about education. If Finland can bring its top 10 percent of the best and brightest into teaching, then why would anyone believe that such huge salaries and bonuses would be so important in sustaining American corporations? You give people emotionally rewarding and important work to do, and get out of their way. And if they don't think there is enough there for them, let them do something more important. How about teaching? The challenges are just as great. And why should we have a corporate pay structure that siphons the best and brightest away from the needs of our children and the development of our culture? I have been reading a book of essays by Karl Popper, All Life is Problem Solving. While Popper became a world renown philosopher, it had been his early life ambition to become a teacher. It was an obvious way through which he might make a contribution to others. And on his way to becoming a teacher, he decided that becoming a cabinet maker would add to his teaching credentials, as he describes in his essay, "How I became a Philosopher Without Really Trying:"
Because I felt that it would be useful for me as a schoolteacher if I were able to master a craft like cabinet-making, I decided to learn that too; and I actually obtained the official certificate of the Austrian state that I had become a qualified cabinet-maker. It was while working at a cabinet-maker's bench that I arrived at what I may describe as my first conscious solution of a philosophical problem. The problem concerned the origin of our Western system of classical music--tonality, harmony, and counterpoint. I did not write it down, and I never talked about it to anyone; but fifty years later, in 1969, I described it briefly in a short chapter of an autobiographical book entitled Unended Quest. Popper's music theory from the early 1920's was later discovered to be almost identical with a theory published in 1922 by German sociologist Max Weber. You may recall Jean Jacques Rousseau's comment which I have shared in the blog many times before, "put a young man in a wood shop, his hands will work to the benefit of his brain and he will become a philosopher while thinking himself only a craftsman." You can see that Karl Popper was a graphic example. And so, I ask a very simple question as I head off to school this morning. "What kind of men are we making in this society?" Is our objective to send our best and brightest into corporations where they can indulge themselves and waste their lives at our expense? Or do we make real men, real women, philosopher/teachers of them that they may live intelligent lives serving others, that we may come to better terms with such things as protection of the environment and discovery of true and lasting peace? You may say I'm a dreamer, but if you are reading this, then I'm not the only one. "When we want the elephant to grow we don't measure it, we feed it." -a typical Finland School response to comparison with American education. Pat Bassett's report on Finland Schools was fascinating, adding a great deal to my own understanding, and most of what I share here is based on what Pat reported at the ISACS conference. Here in the US, teachers are drawn from the bottom 3rd of college graduates, but in Finland teachers come from the top 10%. How can a small nation be so effective at bringing its best and brightest into schools? First, it is not the money (teachers aren't paid that much) but rather, teaching is afforded a high status in Finnish society. Teachers are highly trained with a masters degree being required. Then, teachers are given a great deal of autonomy in the classroom. They design their own curriculum to fit the loose national guidelines. In other words, you hire the best, and then trust them to do the noble work of educating the nation. Actually, what Pat reported about Finland Schools is a lot like what we already have here at Clear Spring School, so educators could save a great deal of money by coming here instead. The first similarity is the trust and autonomy given the teaching staff. They are given the opportunity to become excited about their work as a creative art form. Students in classrooms are divided 3 age groups to a class, allowing the teacher to fine tune and personalize lessons to meet a variety of comprehension levels within the same class. This alleviates the concerns some children may face of being left behind in particular subject areas. It also means that an individual teacher has a greater opportunity to know each child's distinct learning needs. In Finland, as in Clear Spring School few text books are used, and the teachers are trusted to plan flexible lessons to capture and follow innate student interests. And now we get down to the important part. Play. Finland schools recognize the value of play. Even in the worst weather (bitter cold) and during the long winter (dark even at noon) Finland students play out of doors for 30 minutes each day during school hours, and then attend after school recreation centers. Educators in Finland better understand the workings of the brain and know that physical activity is required to anchor intellectual concepts. Here in the US, our schools have little time for play and have nearly completely forgotten its value in learning. In some schools, recess has been eliminated to provide more time for classroom studies. We are often too busy measuring the elephant as required by No Child Left Behind legislation to allow its feeding and growth. While we are pushing hard for kindergarten students to read, Finland students start at age 8 and far surpass American students by 8th grade while American students are spinning wheels and wasting time that could have been better spent in developmental play and creative activities. And I can't help but say something more about the hands. In Finland, kindergarten teachers are taught at the university to incorporate woodworking in their lesson, and craft (sloyd or käsityön) activities are an important part of the school curriculum throughout grades 1 through 9. Finland is almost overwhelmed these days with tour buses filled with educators from around the world. Pat Bassett, head of the National Association of Independent Schools had gone to Finland for an educational conference sponsored by Microsoft, and got on the wrong bus, and much to his pleasure ended up on one such school tour by mistake. Finland's number one rankings in the PISA studies have generated a great deal of interest and educators from lessor ranking nations like the US are there looking for a magic bullet... some special something that they can hang their hopes upon, that could be easily implemented in their own countries. Wouldn't it be nice... to discover some special something that could be easily transported and implemented at little cost that would raise test scores to a level commensurate to our standing as a leading nation? Things don't work quite that way, and one might have to go pretty deep into Finnish culture to begin to understand the Finnish success story. And unless you have some awareness of the history and method of Sloyd, you probably wouldn't have a clue where to begin. One of the things Pat Bassett discovered about Finland is that they don't have independent schools. They have a public system so good that no one feels the need for independent schooling. Historically, you will have to go back a bit to when the whole nation of Finland was controlled by the Russian Czar to understand why. After the Peace of Paris in 1856, the Czar was so grateful to the Finnish people for helping him resist the onslaught of Napoleon's army, that he visited Finland and in thanks to the Finnish people promised the creation of a national system of primary education. Uno Cygnaeous, a Lutheran preacher and teacher was selected to develop the national system of education, the Folk Schools of Finland. Cygnaeous was an avid follower of Pestalozzi and Froebel, and created educational sloyd as a means through which to extend the benefits of craft education beyond the kindergarten years. The instruction shall aim at providing the pupil with the general handiness which is of great importance to every man, especially to the manual laborer, and also with skill in some home industry (sloyd) most suitable to the general public of our land. The handwork in the seminary, (normal school) as in the elementary school will not be carried on mechanically; nor will it consist of unreasoning and mechanical manipulations, which ignore the mental powers and therefore neither satisfy the mind, nor establish an inclination for work, but on the contrary, frequently inculcate disgust and dislike for the occupation insisted upon. The handcraft should take into consideration both mental and bodily capabilities, and so influence both physically and psychically. ...not only for the acquisition of good general dexterity in such work, but also to teach them (students) neither to shun nor to be ashamed of honest work of whatever kind. And thus, while our own schooling became a means through which class lines were drawn and reinforced based on the artificial divide, hand vs. head, the Finnish system drew the hand and head together at the common grounds of the heart. People of all classes came to love their schools and to trust the good done for their children. And teachers are given a place of honor in the Finnish society. This does not mean that we should not look at Finnish schools for guidance in the reshaping of our own to higher standards, but that we need to look deep. We won't find an easy fix, but I suggest that by putting our children's hands to work shaping intellect and character of each child, we might have a fighting chance for change. It seems we have to learn some of the same lessons over and over. Despite our advances in technology, human nature has changed very little in the last 300+ years. And as they have always said, "boys will be boys"... unless we use their schooling to try to turn them into girls, which some at the conference suggested we seem to be trying to do. Is it any surprise that so many boys in such circumstances would drop out before graduation? Just in case you haven't been watching, the underengagement and underperformance of boys is of epidemic proportions from pre-school through college, where enrollment standards are often lower for boys than for girls as a means through which to balance the numbers of boys and girls on campus. 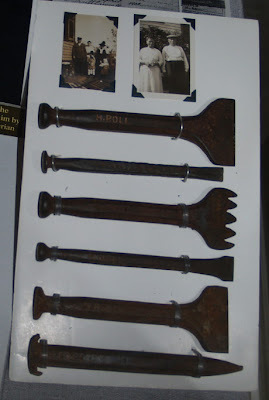 Can you see what we've done to our schools and to our boys, and why it is of vital importance to get children back to working with real tools? You may have seen my youtube videos of kids at work, and what you should know is that they've been edited in length for the convenience of the viewers, not because the children have ever grown weary or inattentive to their work. More from Comenius "...inactivity is more injurious to both mind and body than anything in which children can be occupied." I was at ISACS with my head of school and our 4th, 5th and 6th grade teacher Michelle, who carried a book with her at all times. When you get deeply engaged in a novel, it can be hard to put it down. You want to know what comes next, and you can hardly wait to find out. Several presenters at the conference gave information on the effects of video gaming, and the neurohormones involved that are stimulated through play. For instance, some games set your heart racing through the creation of adrenalin, creating a flight or fight syndrome. You can think of a video game as a book on steroids. One presenter mentioned having played the games with her sons as part of her research and found herself thinking of the games throughout the day, having them intrude constantly in her thoughts. The games are approaching a sense of complete reality through which their effects create a sense of real fear. Many of these same games are designed to hold you without blinking, a neurological state that induces the creation of dopamine, a chemical that creates a sense of euphoria. We learn best through two things, pleasure and fear, so there are many who are proclaiming computer games as the ultimate teaching device. So now, imagine a student in a classroom. In order to get the effects of dopamine, the body must be engaged in increasingly long periods of blinkless engagement. Your student may have stayed up to two or three in the morning to get his full effect from the games he has grown to love and become dependent upon for their contributions of adrenaline and dopamine to his nervous system. The lessons he (or she) has learned from the games are equivalent to the fearful lessons of survival in the wild and it is hard to compete in the classroom. When that student enters your classroom, is he or she thinking about the lessons on the blackboard, or delivered in lecture, or Grand Theft Auto? If you or I or a teacher can hardly put down a good novel, imagine what it is like for a child addicted to the neurohormones racing through his tender body being required to sit still and attentive for classroom learning. So the "bright side." The game creators are attempting to create games that utilize adrenaline and dopamine to further engineer our children's learning. Many parents think that gaming is great. Many of those parents never had the opportunity in their own education to understand the creative engagement of their own hands, so they have little comprehension of what they are depriving their children. You can see why some are excited, and those of us with more experience in the real world, not so. I got an email from my wife while I was in Columbus. My daughter's iPhone had been taken from her purse while she was in a restaurant in New York City. Theft. That is the kind of experience that creates real adrenaline, and a lesson that will be long remembered. Alongside the message informing me of the theft were advertisements on the side panel of g-mail for iPhones. Google's incredible software and computing technology had scanned the title and contents of the message and paired it with advertisements to promote the specific product. In the same way, technology using adrenaline and dopamine will create lessons for our children through advanced gaming, shaping them to become perfect consumers and compliant, manageable adults, mindless, easily manipulated, lacking in personal creativity. So what things do we want sticking to our children's ribs? Their own creativity or things that come in a box? It is nice to be back in Northwest Arkansas and to have a day to relax and do household chores before school on Monday. It was a huge pleasure to attend the ISACS conference and to know how many things we at Clear Spring School are doing right. We attended workshops by a variety of experts and leaders in education, and it is a great confidence boost to listen with check list... that we are doing so very many things right. I attended a workshop with Pat Bassett, director of the National Association of Independent Schools in which he described his visit to Finland. As Finnish education is a point of particular interest to me, I took notes and will have more to share later on. I wished that I had had an equal time to share with him, my own Finland adventure and what I learned from it. Perhaps that will come at another time. In the meantime, I am researching Pestalozzi's alphabet of form and its use. If any of my readers have particular insight or resources, please let me know. As some researchers here mentioned, the 1990's and this present decade have been the score of the brain. Prepare yourself for the coming decades of the hands. It will take weeks or even months to process and share what I have learned here, and I will fly home to Arkansas in the morning. Some things are too large for simple and immediate response. So here I am, a bit brain fried from the amount I have learned. Faithful readers will gain some insight from what I have learned later after I have had greater opportunity to test in my own hands and classroom. Some is about math, and the role of the hands in the development of spatial sense, the much overlooked component of success in mathematics. Some is about the brain and the body and how we learn. One presentation was about stress reduction, offering tips I will use in my own life and classroom. It is an amazing thing being surrounded by teachers gathered here in Columbus for exactly the same reasons... to become better teachers, and to do more to create passion for learning. This afternoon we arrived at the hotel in Columbus and are ready for tomorrow's conference. I have a long list of interesting presentations to attend, and I am looking forward to learning and networking with other teachers from independent schools. And so, some have come to regard independent schools as elitist, serving only the children of the elite, and overlooking the important role independent schools can serve. Want to know what independent schools can do for American education? Come and check out the example we serve. I will be leaving early for the ISACS conference in Columbus. I have heard stories from a number of teachers about their coping and survival strategies. One that stands out because I've heard it over and over again, is that of choosing one or two students in a class on whom to shower attention. Teachers get very tired of trying to gain participation and interest from the back of the room. It seems better to choose a few friendly faces and give your attention to them than to stand in front of a class feeling foolish and embarrassed while facing complete disinterest. This is similar to a strategy used by speakers. They note those in the audience who give attention, and use them as their focal points in the audience. It is a more effective strategy as a public speaker than as a teacher. In a classroom, is it really such a good idea to give attention only to a few? What if classes were small enough that each student could receive necessary attention for learning, as though each really mattered? You can see from my videos, how much attention is necessary to keep the children productive in wood shop. It takes constant encouragement, and being fully present to each and every student's needs. Unfortunately, many students learn very early that the teacher has very little time for them. They sit at the back of the class, and while they may not be directly disruptive, they may be completely detached from learning. Presenting hands-on learning is demanding. The objects in a wood shop are engaging. The vises make clunking noises that can be a distraction. Children need to be brought to attention in order to learn. I have begun thinking of it as a symphony. You allow the children to tune their instruments. Then you tap with your director's wand on the podium, and they come to attention for the delivery of essential information. Then with a wave of the wand, let the making begin. It is a challenge, but we are working on it. And it takes absolutely every instrument to make the necessary music. I leave tomorrow for the ISACS conference in Columbus, Ohio, where I'll attend workshops and seminars with teachers and administrators from Independent School Association of the Central States, the accreditation organization that accredits our Clear Spring School. This will be my first time to attend the annual conference. While I've driven through Columbus many times on my way to New York, or Philadelphia, this will be the second time it has been the destination of my travels. The first was in the summer of about 1993 when I exhibited at an American Crafts Council show. The show was poorly attended, the aisles were nearly empty, sales were extremely poor until I got an order for $6000.00 from a New York Gallery (almost all of which was later cancelled.) But often success is not in the form that we expect. I had one visitor hanging around my booth, occupying the very long spaces between the customers who weren't there, an editor from Woodworker's Journal, Doug Cantwell. Doug was intrigued and curious about my designs and wondered about publishing them in his magazine. I said yes. As a result, I found myself in my first relationship with a national magazine. They wrote two articles featuring my work and when they wanted to do another, I asked, "Will you let me write my own?" 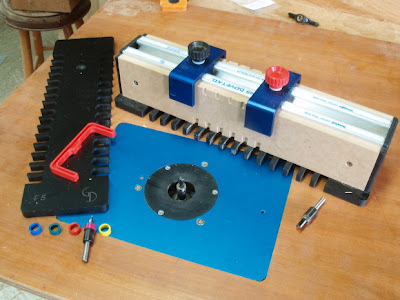 They said yes, and that led to more articles and books, to woodworking education and to this blog. It is a shaggy dog story that ran right through Columbus, a city named in honor of discovery. I am looking forward to going back. And this time instead of selling work, I'll be conferring, sharing, and learning with other educators. I may be away from the blog, but if you want to dig deep and read old stuff, type sloyd in the search block at upper left. Making children's toys was a common educational sloyd activity first popularized by Eva Rodhe in Gothenburg. These first grade students are making toy horses as part of an integrated learning social studies project. They are studying westward expansion. They will make the horse, a wagon, the contents for the wagon, imagine their traveling companions, write stories about their journey and even make the pens used to write letters home to family. As I have mentioned earlier in the blog, the North Bennet St. School was a central point in a rivalry between two manual arts methods, with both being practiced in the same building at 39 North Bennet St, the current location of the North Bennet St. School. 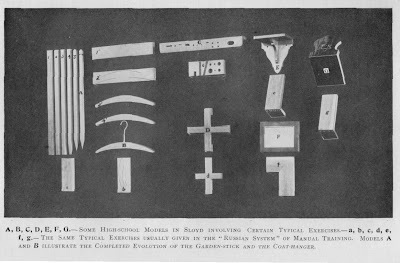 At the North Bennet St. Industrial School, the Russian system introduced by Della Vos at the 1876 Philadelphia Exhibition was used in the training of students. Gustaf Larsson's school for training teachers in the Sloyd method was located in the same building, so visitors could pick and compare and consider which system should be used in creating an industrial arts program in Boston schools. No doubt the Boston Public School system felt they had given an adequate assessment of each. They chose what they thought was a compromise, adopting a tenet of Sloyd but missing its core. They decided that as in Sloyd, students would work on whole objects, start to finish that would have direct use to the student and his family, whereas student work in the Russian system was to make parts of things as someone would do in industry. The image above from Gustaf Larsson's book Sloyd illustrates this subtle distinction. But of the many facets of educational sloyd which the Boston compromise chose to ignore was the Sloyd focus on teaching the individual child. The Russian system was depersonalized classroom instruction while the sloyd method was individualized, giving direct personal attention to each child. The Boston Compromise became the model for nearly every manual arts program in the US. Can you tell me from your own personal experience why one works and why one does not? One method takes greater investment by the teacher in the emotional, mental and physical state of each child. The other allows children to be packed in classes without regard to whether the outcome is successful. Do you have any ideas at this point, why we have a 30% drop out rate in the US and why American schools are falling behind? Have you ever experienced someone caring sincerely about you and wishing your success? Did those things help or not? This afternoon, our humble household was filled with incredible brain power as head researcher from one foundation was here along with husband and wife visitors from a leading biological research laboratory in the UK. Andy from the UK is a painter and sculptor as well as a biologist so that gave us something which I consider important to talk about... The ways human beings use metaphor and allegory to extend human knowledge through the formulation of hypothesis. I have discussed this earlier in the blog. Einstein did it as he formulated his theory of relativity based on contemplation of trains in a station. Rick, researcher from the US compared the mental use of metaphor to a form of evolution that hops rather than plods. We commonly use our comprehension of one thing to propose through analogy and metaphor the similarities in others. A recent example is the way researchers have utilized the computer analogy as a means to explain, compare and consider the functioning of the human brain. No the brain is not the same thing as a computer, but knowing something about how computers work can provide insight and hypotheses as a starting point for further research. Human use of metaphor is where the arts and science are virtually indistinguishable and inseparable. By failing to interest and engage our children in the arts and hands-on creativity, we leave them the short end of the stick, unprepared and lacking confidence in their scientific exploration of reality. The arts provide an essential foundation of physiological effect from which to formulate hypotheses through which to extend human scientific and cultural understanding. And of course, the artists' exploration of the various capacities and qualities of his or her materials are virtually indistinguishable from the methods a scientist would use in the study of physical reality. I think this is why one often finds scientists involved in hands-on activities in such things as painting and sculpture, or finding pleasure in such real down to earth activities as cooking or working in a garden. 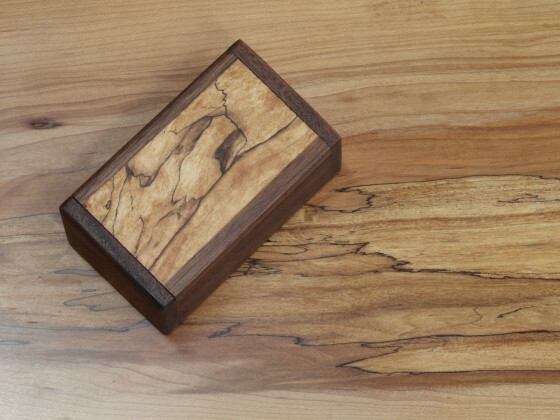 For about 20 years from 1975 to 1995, I was a self employed craftsman, making custom furniture for a few customers and selling small boxes through about 30 galleries in all parts of the US. There were some notable changes taking place... or perhaps the thing I should note was that in the world in which I was selling my work, not really very much was happening. When I went to craft shows, including the Philadelphia Buyers Market of American Crafts, the same artists would be there year after year, and it was quite rare for new artists to enter the field. We were all aging together, year after year. We refined our work and introduced new products as our hair turned gray or thinned and our shapes changed from young to mature. And the only way you would know that the times were changing were from the near absence of young in our midst. Our hard won skills were not being passed to the hands of new generations. By the time I became a professional craftsman in 1975, manufacturing was moving overseas and with the exception of my small band of aging entrepreneurs with whom I would gather at craft shows, making was rapidly becoming a dead end street. A sales trip to Dallas in 1985 told me that everybody was selling something, but few ever made anything anymore. In 1995 I continued making furniture and boxes and added writing to my line of work, hoping to gain greater recognition for my work, but also to pass along and thus save what I had learned. I began with articles for Woodworker's Journal, books for F&W Publications, and later became a contributing editor for Woodwork Magazine and moved my book publication to Taunton Press. In 2000, I added teaching to my line of activities, by beginning to teach classes for adults at Arrowmont, and through the Wisdom of the Hands program (2001) at Clear Spring School, I began teaching kids and writing woodworking education articles based on my experiences and research. And throughout all this time, the change we have faced has been a shrinking of understanding as more and more kids are raised, becoming adults without the fundamentals. They don't play with blocks, they play on computers instead. They don't finger paint, they mouse around, not feeling the texture of real paints, only the temperature and texture neutral input device. My books and articles instead of growing in complexity have of necessity become simpler and more basic to meet the declining level of expertise in the market. And in the meantime, our measures of ourselves and each other have been spelled in initials... ACT, and SAT scores, BA, M.Ed, Ph.D. And so I am wresting with change and the times have been a-changin'. Some of my faithful readers may remember when I was applying for the Fulbright Senior Specialist Roster, and was at first laughed at due to my lack of advanced degree. "Are you serious?" I persisted, pointed out that there were no exact rules pointing to my being unqualified and managed to dispel enough doubts to be placed on the roster. But at this point, I am wondering whether to throw in the towel and go for a masters in education degree. It is my wife Jean's suggestion. And I am curious. What do my readers think? I have fought a good fight, standing on my own two feet. Would a M.Ed degree or a Masters in Arts Education improve my chances of promoting hands-on learning to those who only see the value in the terminal degree? Or can this fight be won without? Is this challenge one of tactics or timing? Please use the comments function to respond or the email address at right.